In my last post you caught a glimpse of the amazing work and skill that goes in to producing the yarns used in the cloth woven at Sabahar. 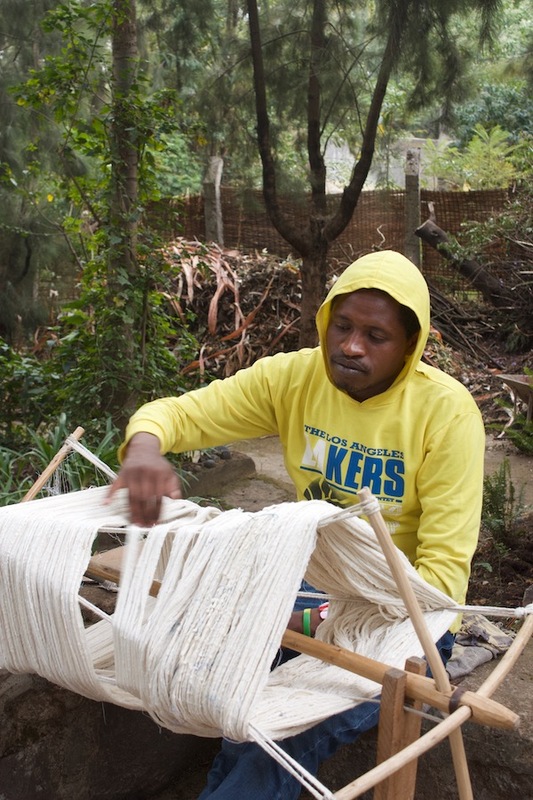 Now it’s time to visit the dyers and the warpers… two more steps necessary to bring these amazing Ethiopian textiles to life. 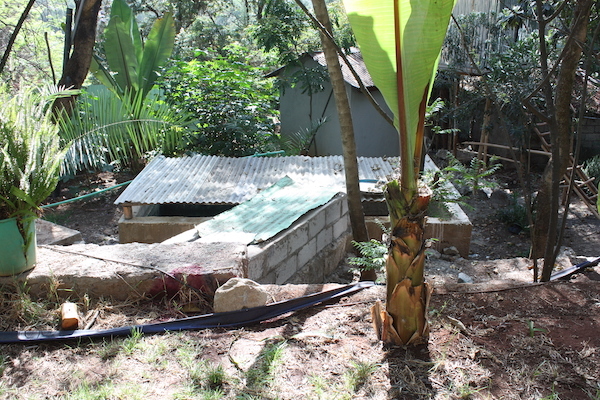 Last year Kathy was able to construct two new buildings. One was for the dyers and finishers and the other was a beautiful modern shop where all these beautiful textiles are displayed for the appreciative customers of Sabahar. The dying studio is fabulous. 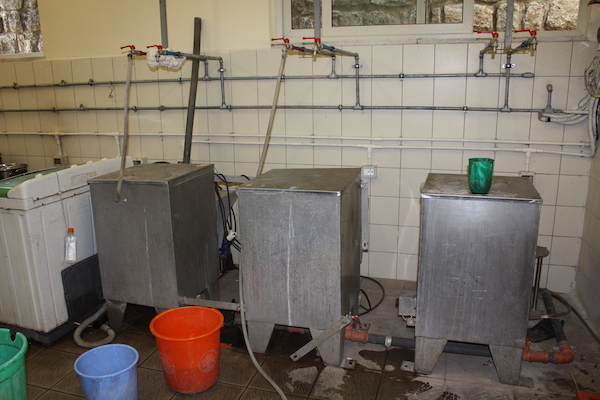 It has big washing spaces outside where the water is treated and recycled for watering the gardens. They have a fancy dye machine that is used for skeins of mill spun 40/2 cotton warp that is used as a base warp for many of the fabrics. 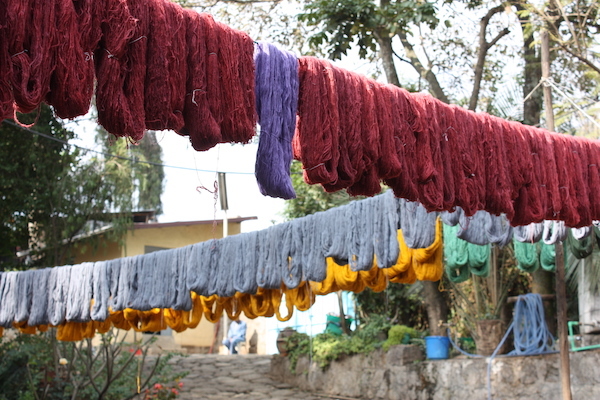 All of the handspun cotton and silk are dyed in pots just like we do… but they just do so much of it. 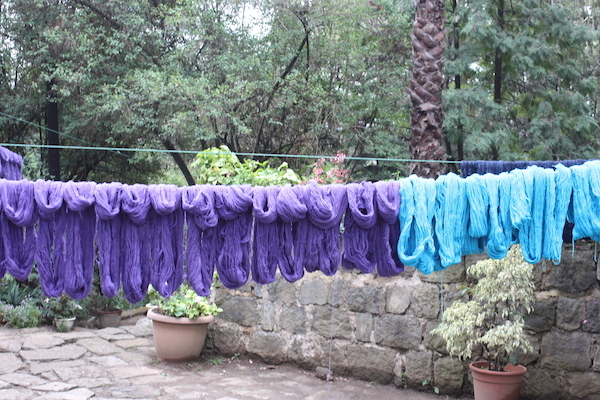 After the yarns are dyed warping is next. 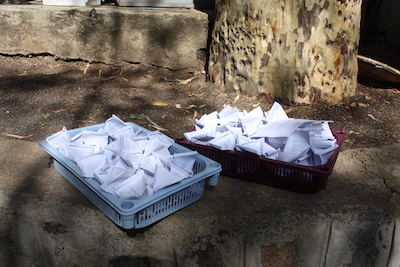 I always say that there are a dozen ways to do something, well now I believe there are 13 :)! 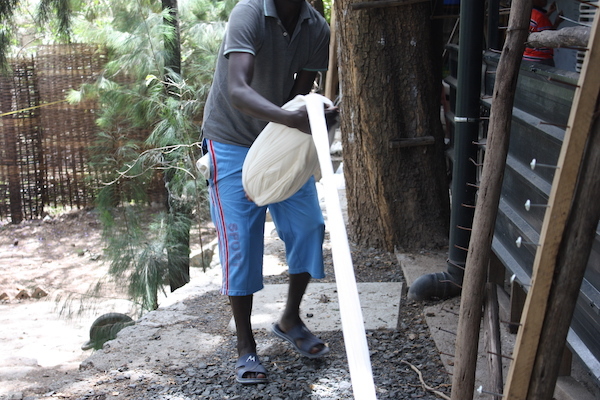 Before I went to Ethiopia the first time in 2016 I could never have imagined this type of warping. Or that it was possible to make such long warps with such simple equipment and with so many threads used in a single bout. Imagine warping with 30 threads at a time! 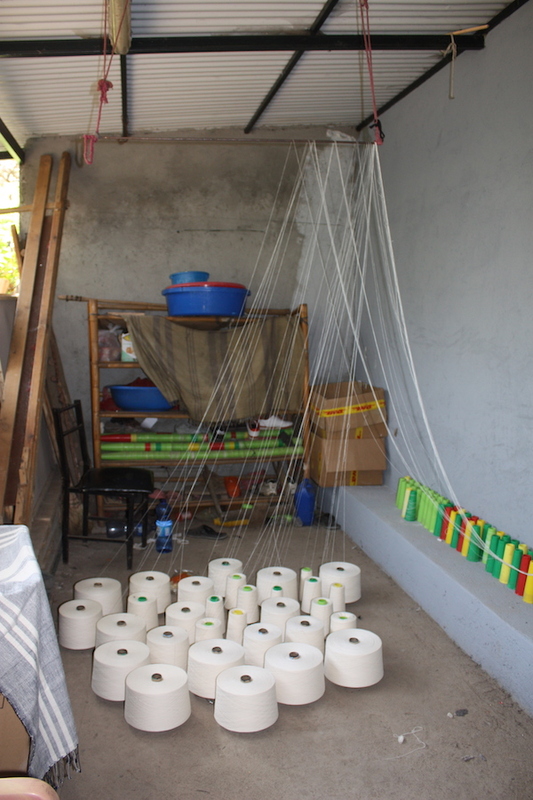 There are several warping stations… all pretty much the same. Nails along rough wood. That’s it! 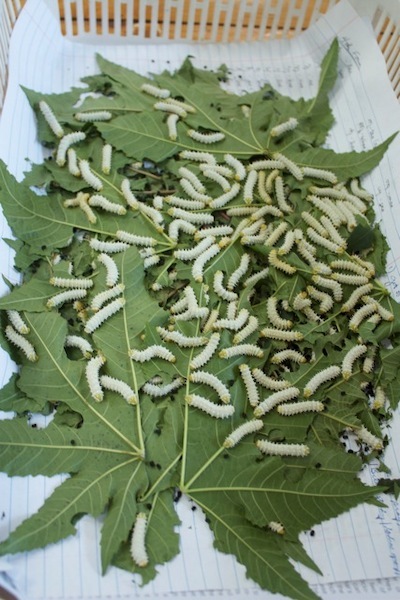 Once the warp is made it is wound into something that resembles a giant cocoon… rather fitting really as they are surrounded by cocooning silk worms. It starts just like we start a ball of yarn by hand they just don’t make it round. And the cross is at the end. The 40/2 cotton is pretty darn fine but the 40/1 cotton is so fine I could barely see it and it is… yes a single strand. This only comes from the mill in skeins. 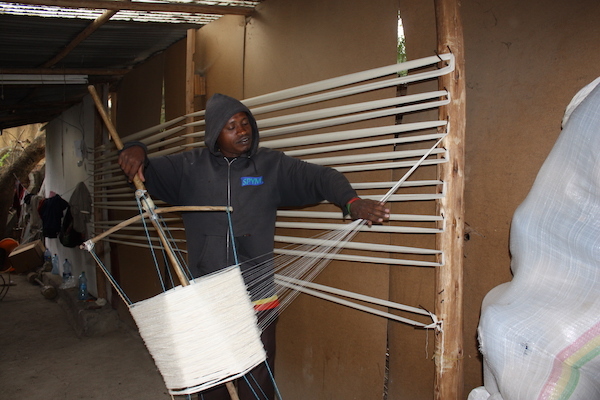 They load up the skeins onto a wagumba which is a giant swift. 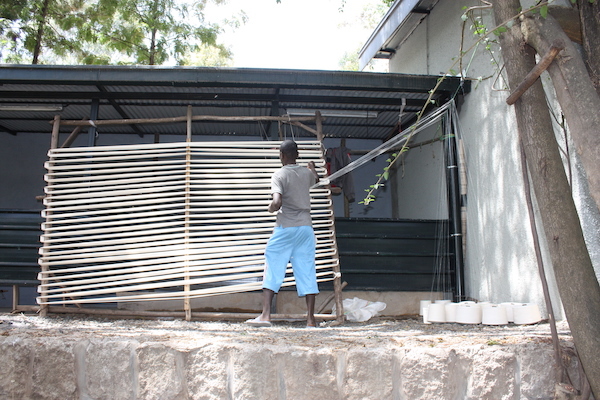 Thirty skeins are loaded on, thirty individual ends are found and then the warper carries the wagumba up and down the warping board while he is making his warp. 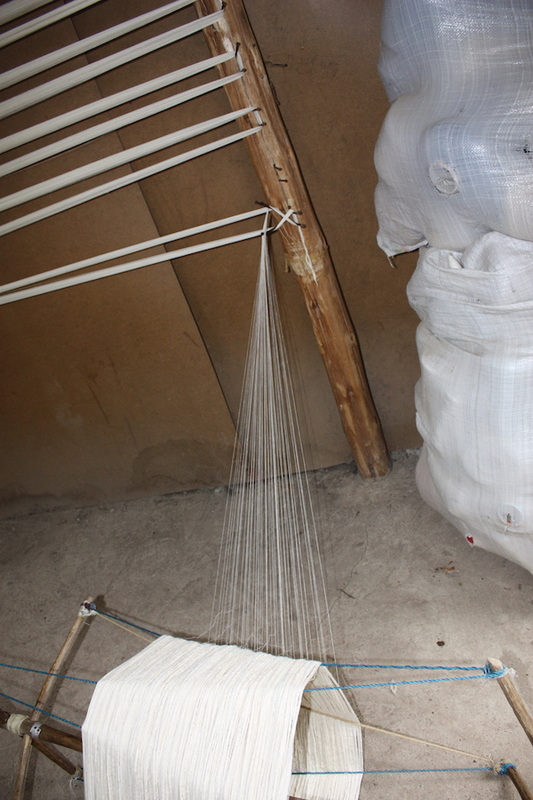 This is what a 70 yard warp looks like on it’s way to the loom where it will be transformed into 40 towels. And then they have one trusty metal warping mill which I felt right at home with. 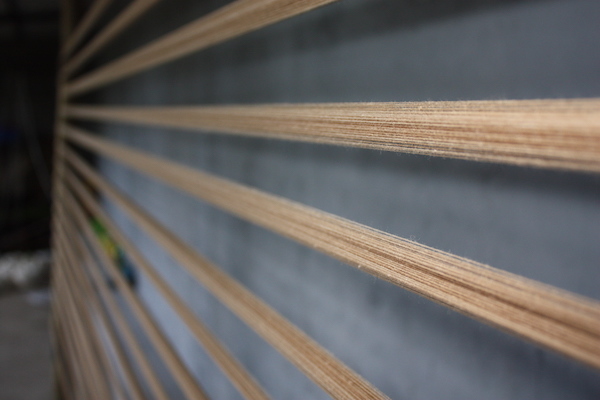 Ermias and Aiyelle made a new warp for us to use in the Research and Development Department. 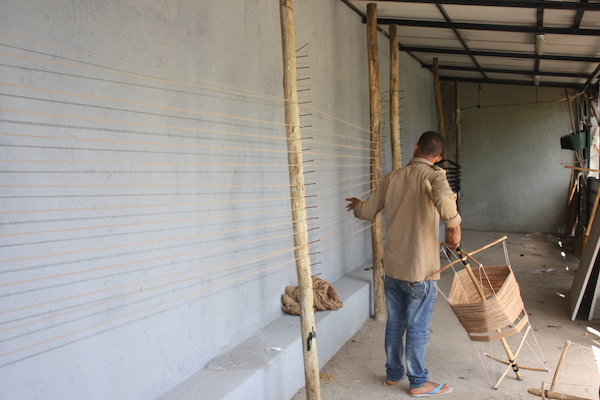 Part three: The Weavers of Sabahar and their brand spanking new R&D dept. 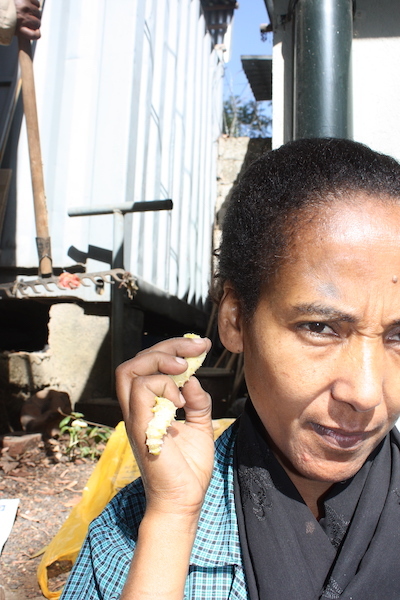 Part 1: of a story about my recent trip to Ethiopia where I worked with the weavers, spinners and dyers of Sabahar in Addis Ababa. I did several posts about this trip on Facebook but I know there are a lot of you out there that don’t hang out on Facebook or other social media and you are important to me too… so here goes. This story all begins with one amazing woman named Kathy Marshall from Beaver Lodge Alberta. 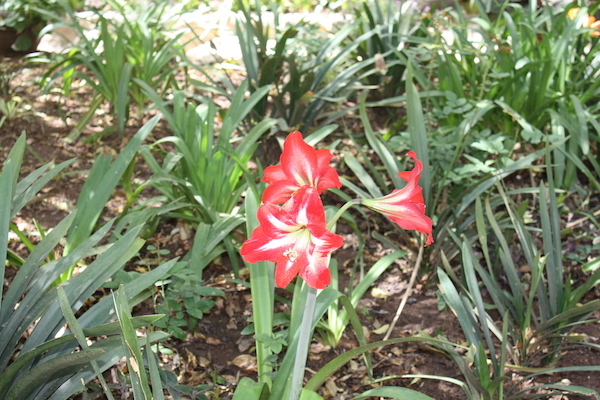 Kathy has lived in Africa since 1994 working in the area of agriculture and development. 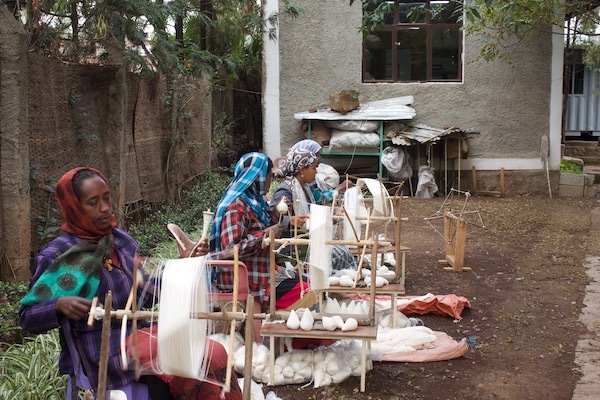 Kathy’s desire to create a business that specialized and celebrated the rich textile traditions in Ethiopia began in 2004 with one weaver and several spinners working out of her home. 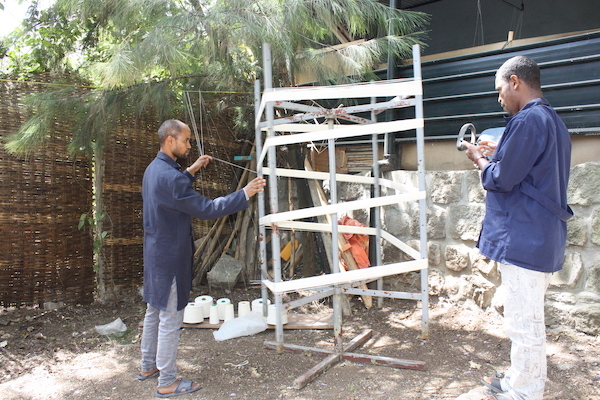 Fast forward 15 years and Sabahar now employs over 200 artisans. 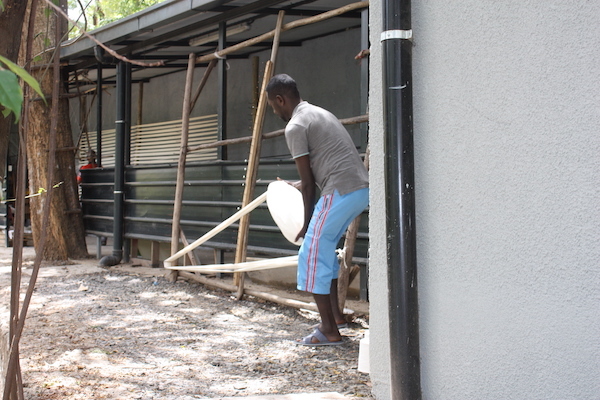 Weavers, spinners, dyers, silk farmers and finishers. It is an amazing success story that sits on top of a mountain of determination, dedication and above all, love. 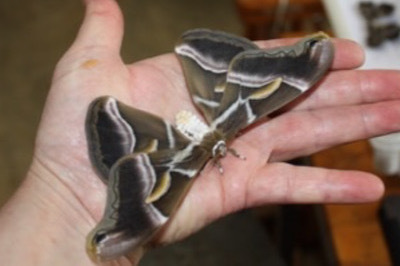 There are so many parts to this story but it really should start with these lovely little critters… eri silk moths. 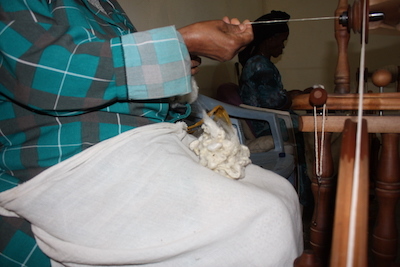 By the way, Saba is the Amharic word for queen and Hari is the Amharic word for silk… a perfect name for Sabahar. 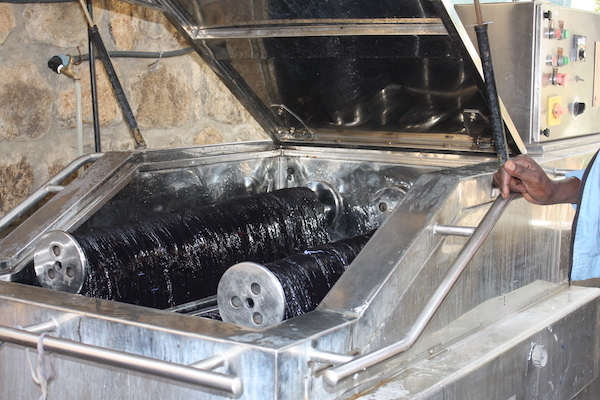 Sabahar is the pioneer of silk production in Ethiopia. 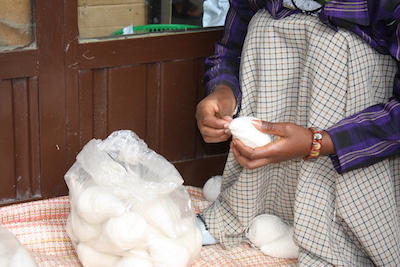 Kathy brought her silk cocoons from Assam India where Eri silk originates. 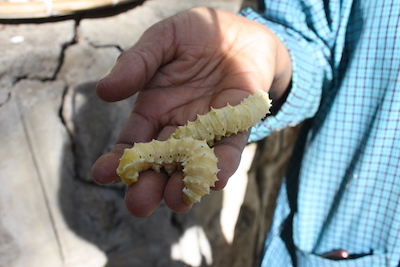 The name eri comes from the Assamese word “era”, meaning castor and that is exactly what these caterpillars eat. 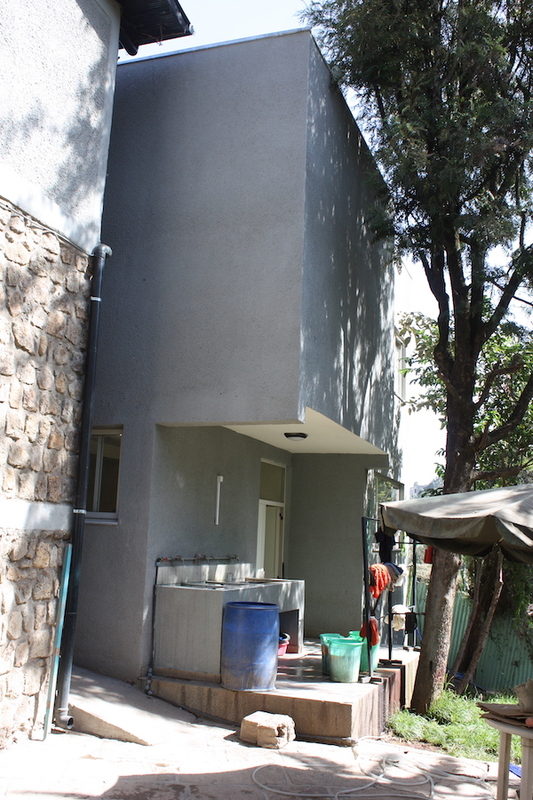 Ethiopia has an abundant supply of Castor trees which made it a perfect silk match for the country. 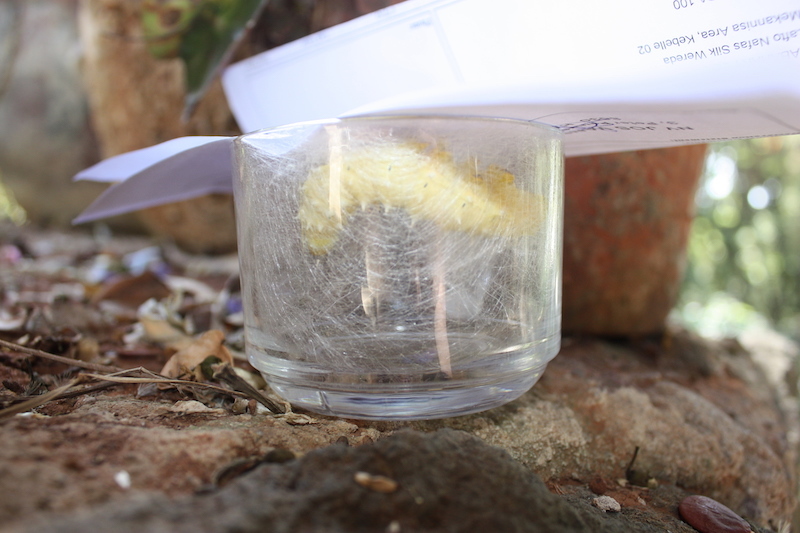 I put two caterpillars in this glass mug and weighed down a piece of paper with my cell phone. 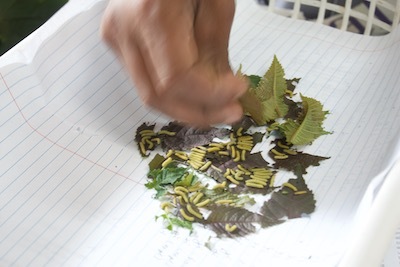 It was amazing to watch them spin their cocoon. 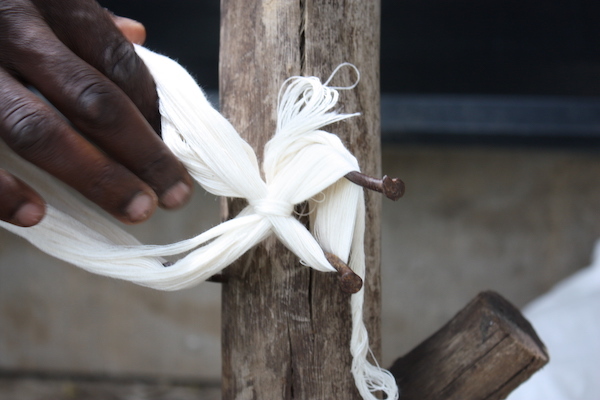 Their little heads circled round and round while they extruded the silk into the unique shape that Eri silk is spun into. 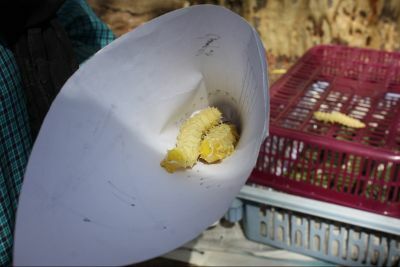 They will fill any shape they are put into… the cocoons that come out of the paper cones are cone shaped. 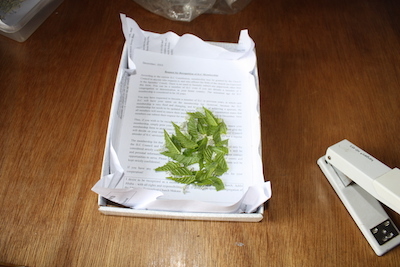 If they are put into a square container, the cocoon will be square… truly amazing. 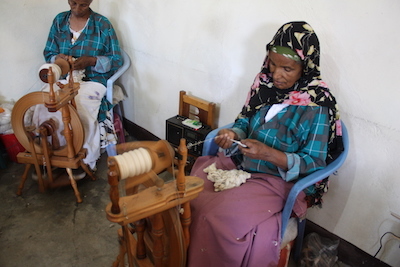 Cotton spinning on drop spindles has a strong tradition in Ethiopia and Eri silk has similarities to cotton. 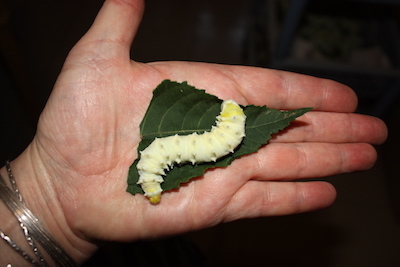 The caterpillar spins a staple silk unlike other silk worms which spin a filament silk, like Bombyx and Tussah. 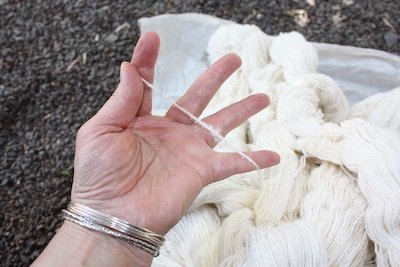 Eri silk cannot be reeled making it the perfect fibre to give to traditional cotton spinners. 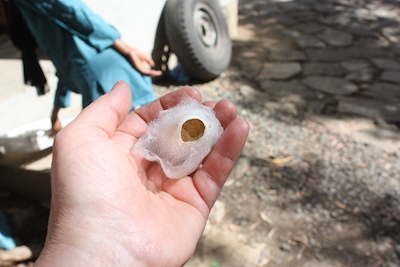 The cocoons are first boiled and the spinners spin directly from these cocoon masses. 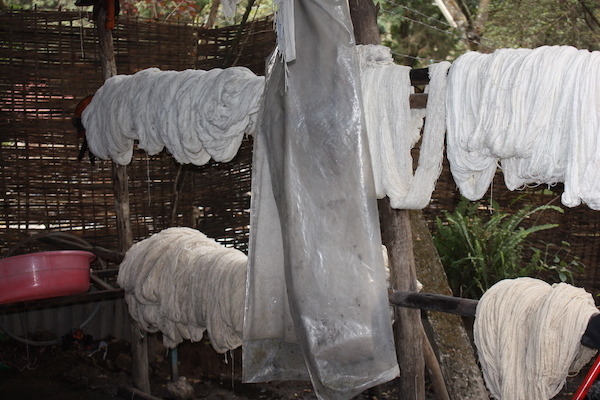 Along with spinning Eri Silk, Sabahar employs dozens of cotton spinners who spin in their homes. 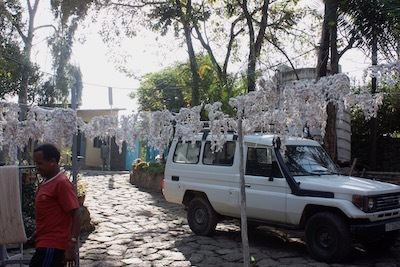 Everyday spun cotton is collected and delivered to Sabahar for sorting and quality control. 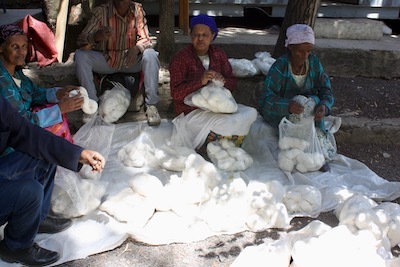 Cocoons are boiled and spun directly from these cocoon masses… the silk is spun on wheels, while the cotton is spun on drop spindles… every day deliveries of cotton arrive and are sorted into different grades… the cobs are turned into skeins ready for dyeing. 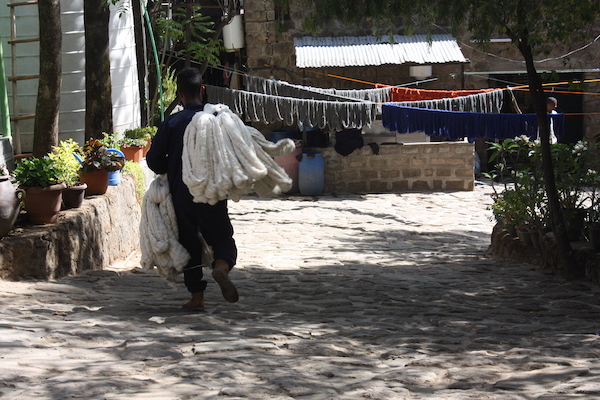 The next blog post is about the dyers and the warpers of Sabahar.